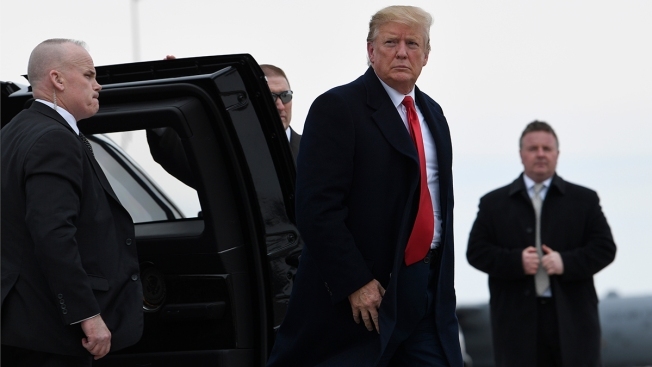 President Donald Trump gets out of his car to board Air Force One at Minneapolis-Saint Paul Air Reserve Station in Minneapolis, Monday, April 15, 2019. As a catastrophic inferno tore through a cultural treasure, President Donald Trump assessed the response from 4,000 miles away and offered unsolicited advice for firefighters trying to save Paris' Notre Dame cathedral. Associated Press Writer Deb Riechmann contributed.